Sofitel Wanda Chengdu is located on the Funan River, only 20 minutes drive from the international airport, or 15 minutes walk from Central Square and the commercial hub of the city. 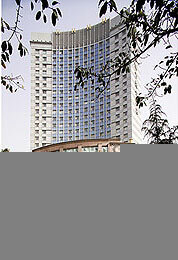 The hotel features 262 elegant rooms, 3 restaurants, 4 bars, an indoor heated swimming pool, sauna, spa and gymnasium. Conference facilities are also available for up to 500 delegates. 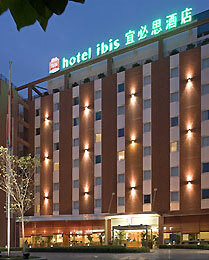 The Ibis Chengdu is located 5 km from the centre and 15 km from the airport. You can easily visit the tourist centres of the region, such as the Wuhou temple, the house of the poet Du Fu or the panda research centre. L.hotel has 256 air-conditioned roomsavailable for booking, pay parking under surveillance and a bar with a terrace open 24/24. Its traditional restaurant proposes local specialities. Guests on a business trip have access to a dedicated work area.